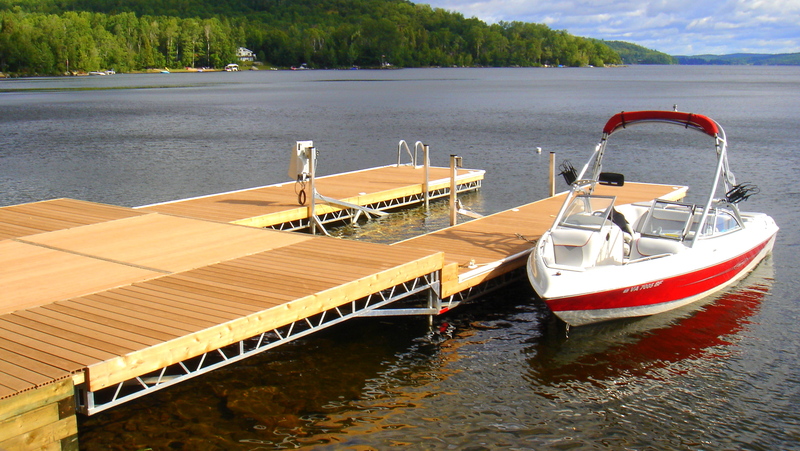 The result of over 44 years of quality workmanship. 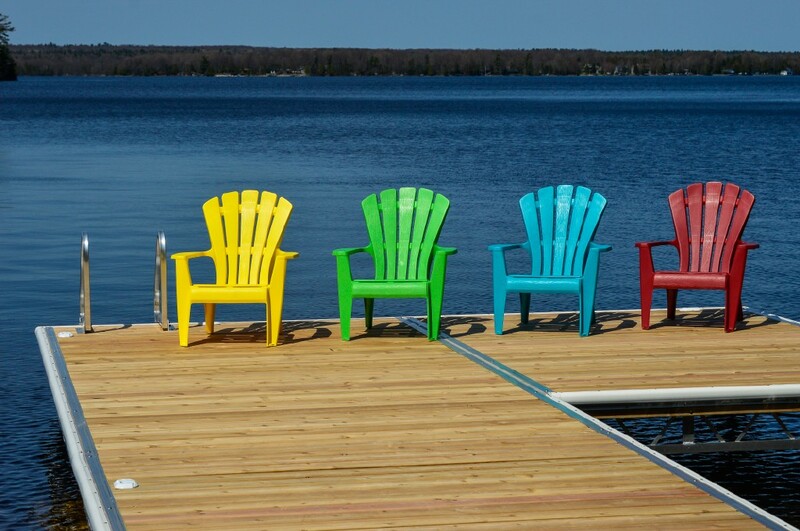 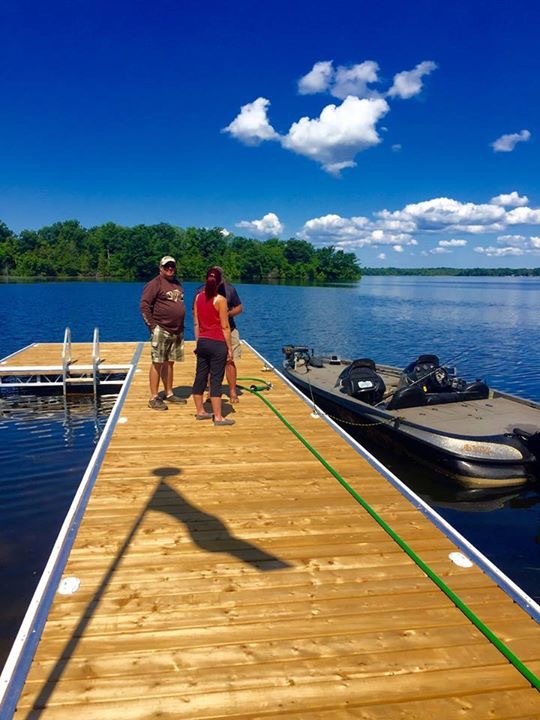 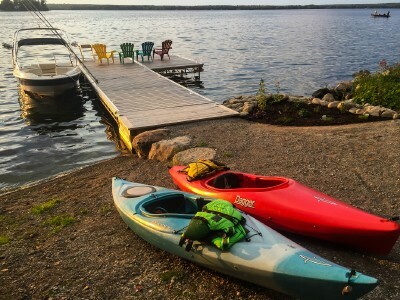 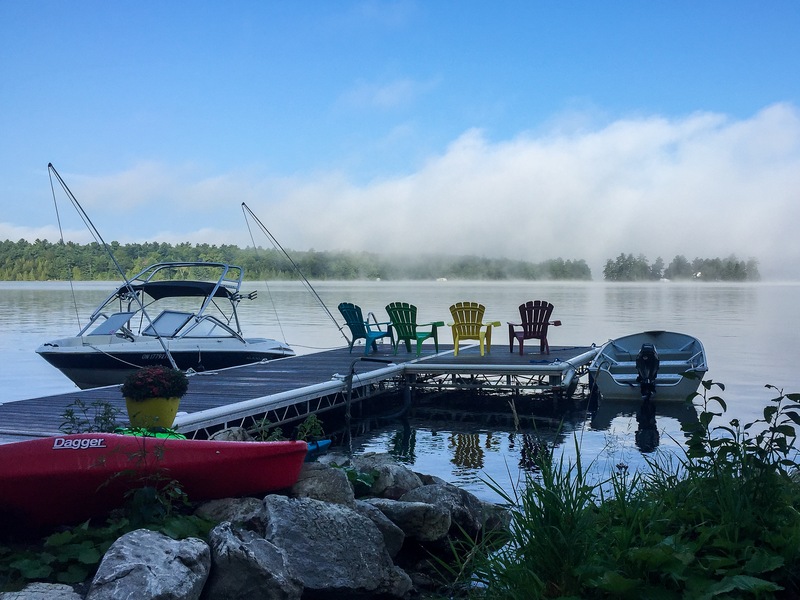 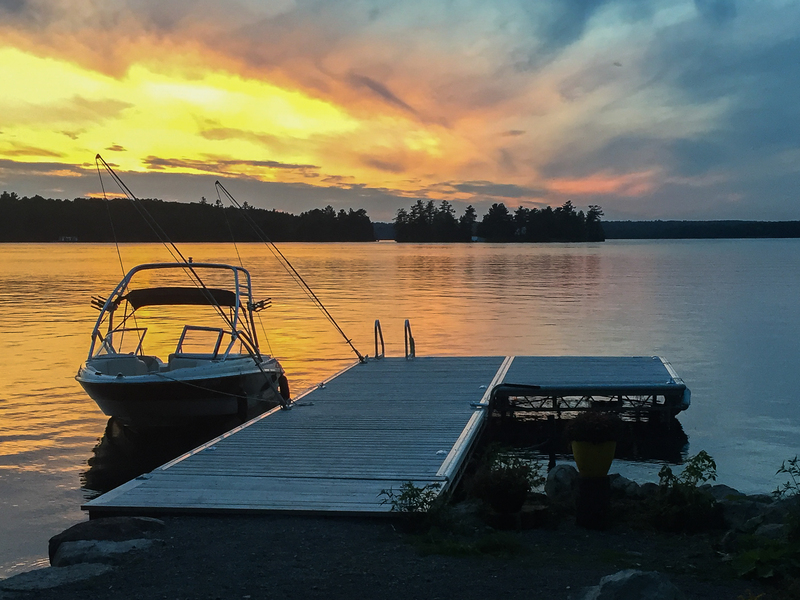 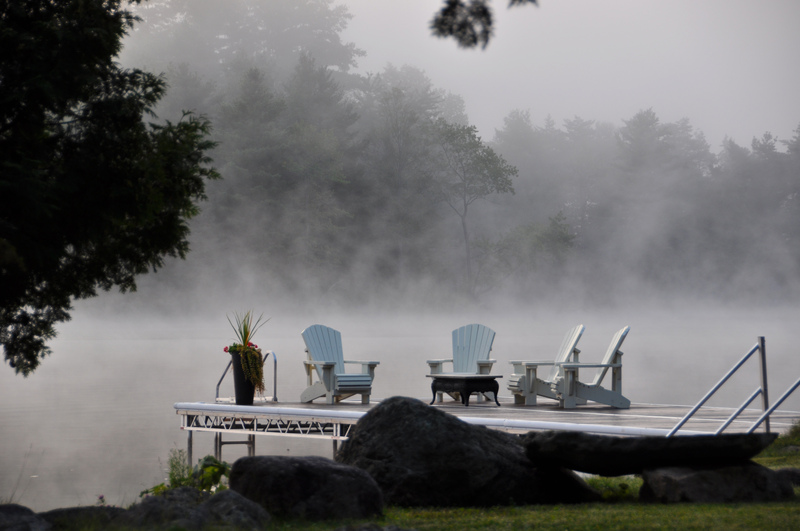 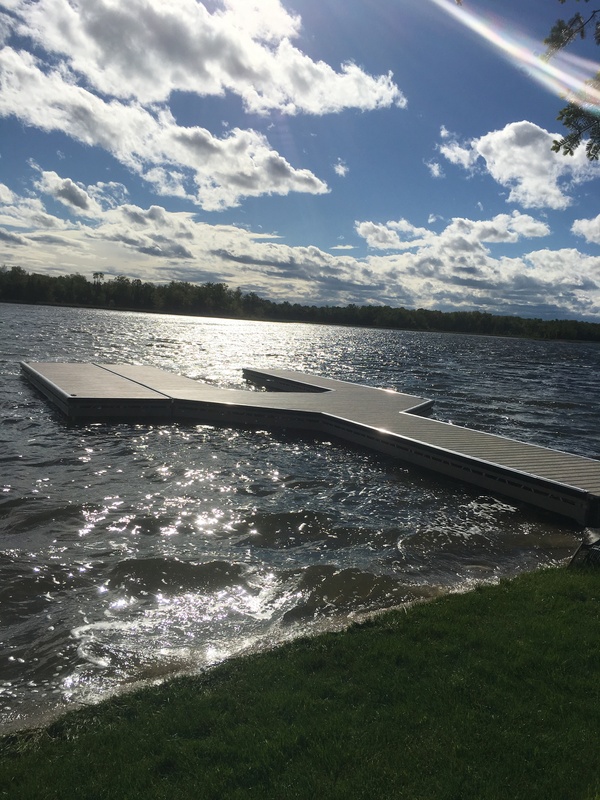 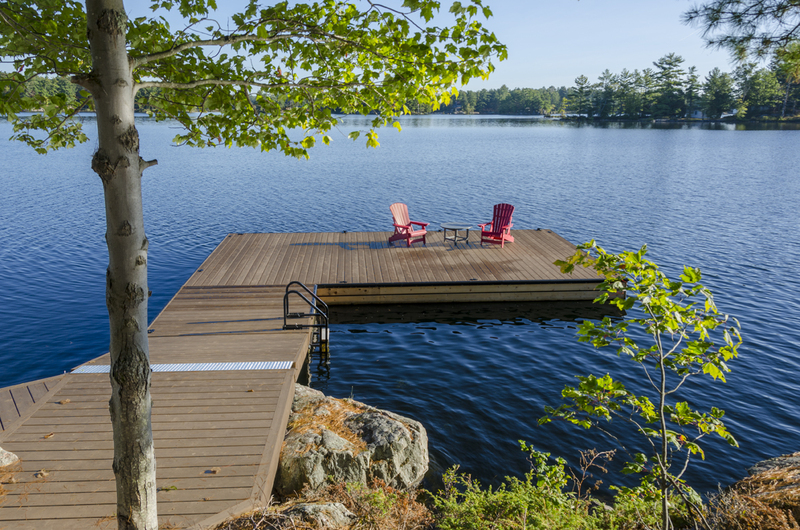 Each shoreline is unique and we encourage you to check out our photo gallery to see how we can profile your dock or lakeside deck around your landscaping to give it that custom finish. 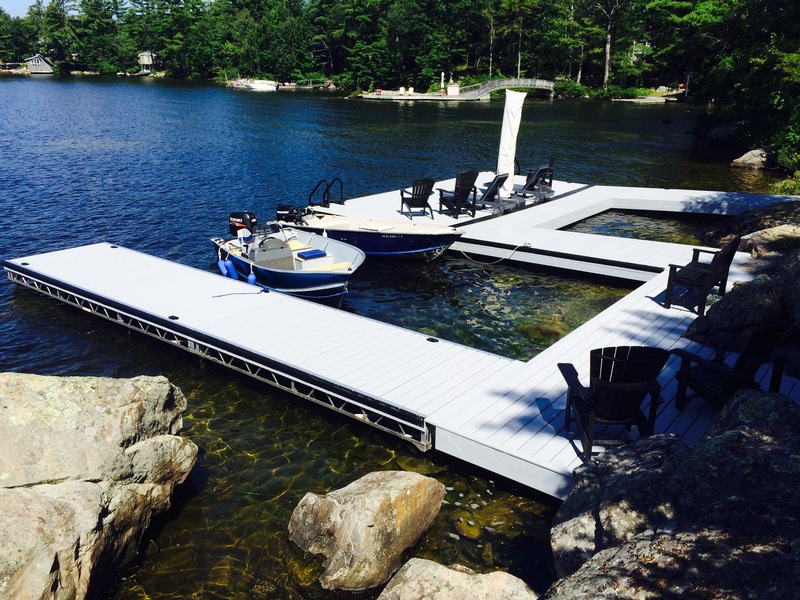 We take pride in the ability to serve our customers on an individual basis. 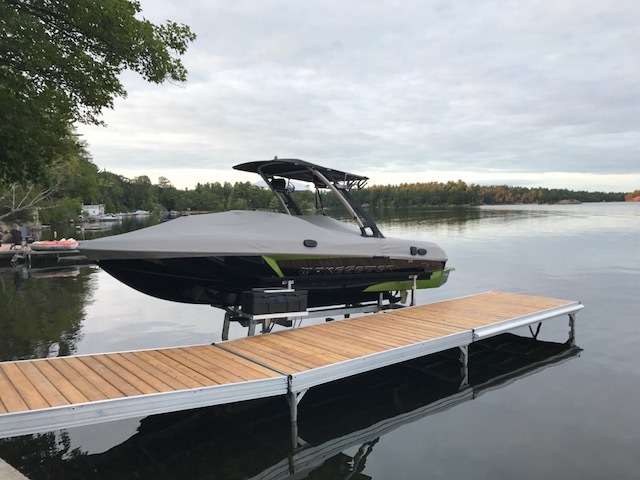 From custom design, through manufacturing and installation, our priority is your complete satisfaction and confidence that an R&J Machine product is the best there is. 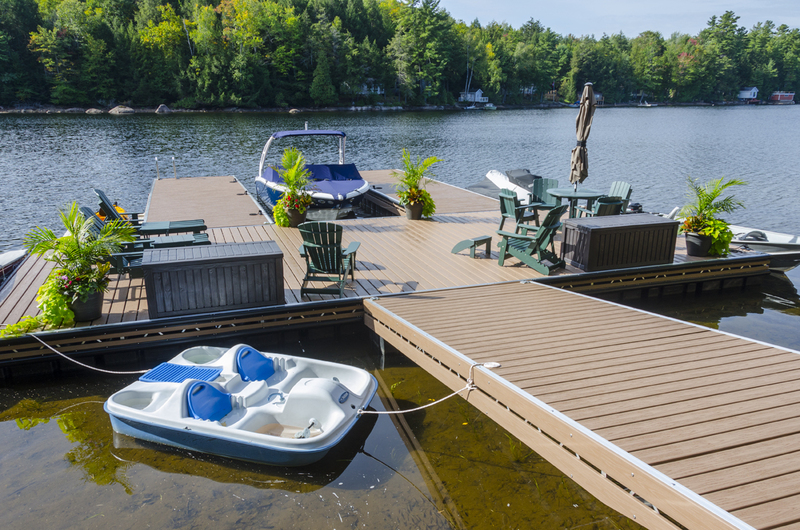 With an R&J Machine product your valued property will be protected, providing you with years of enjoyment and satisfaction. 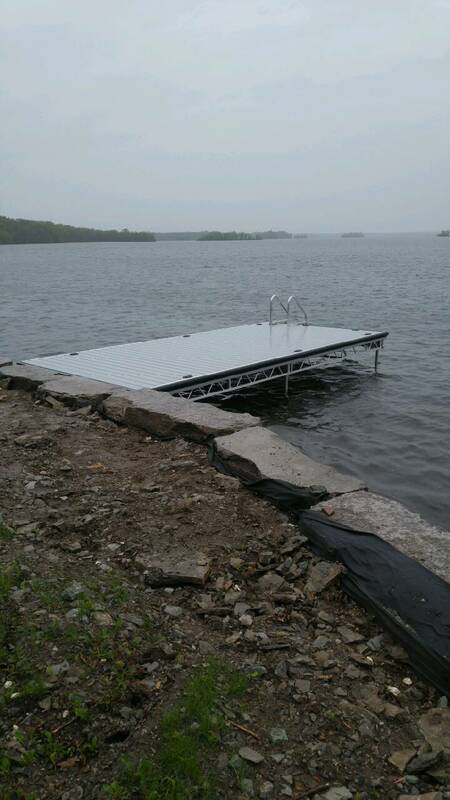 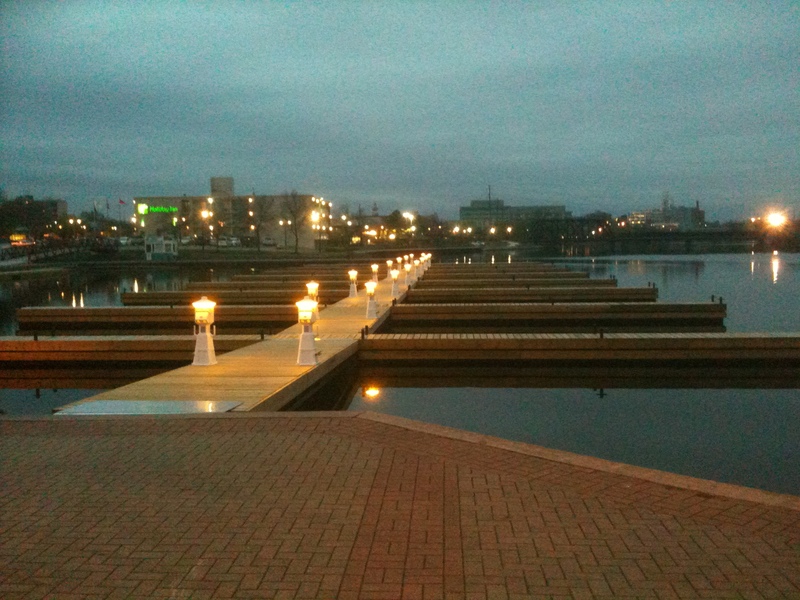 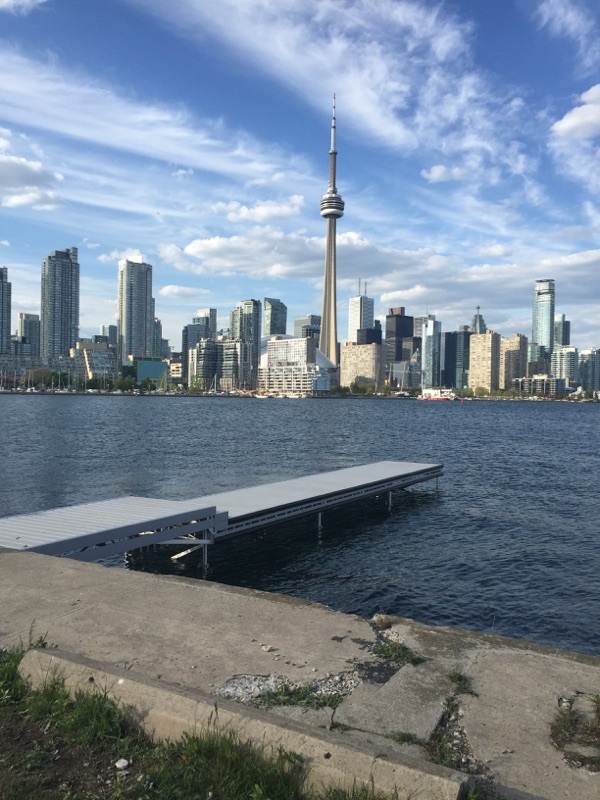 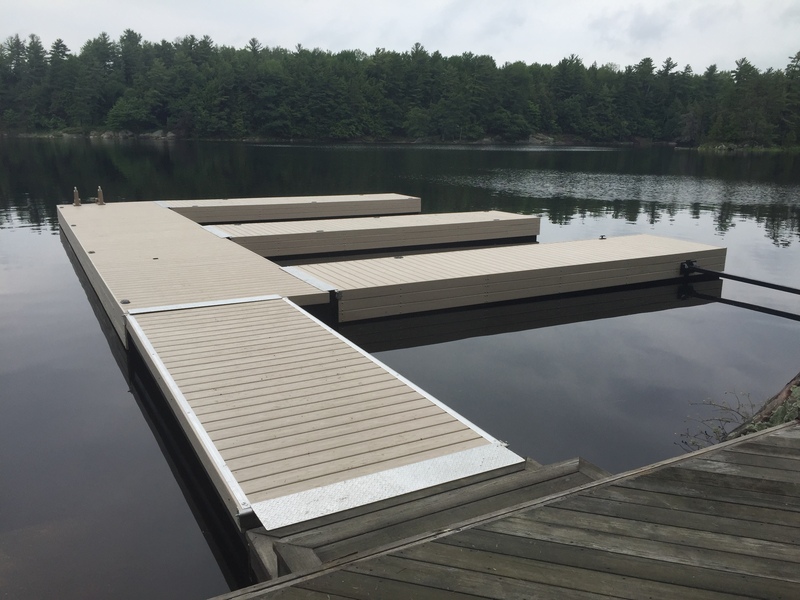 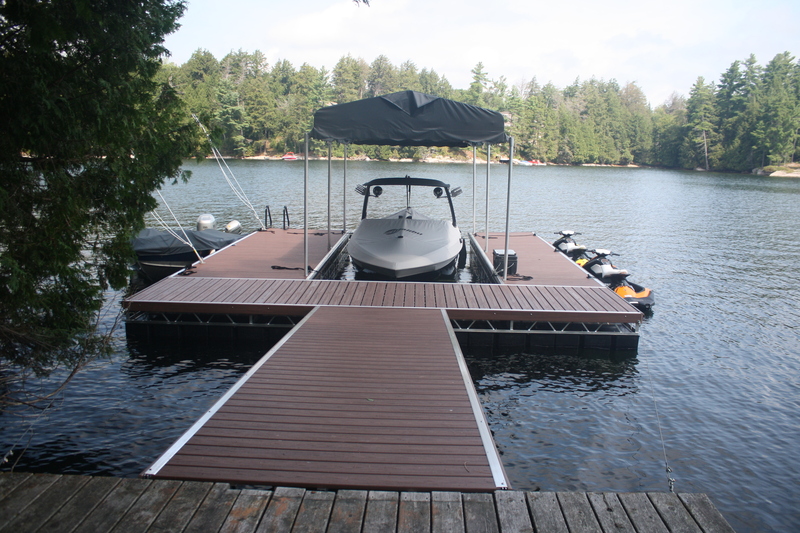 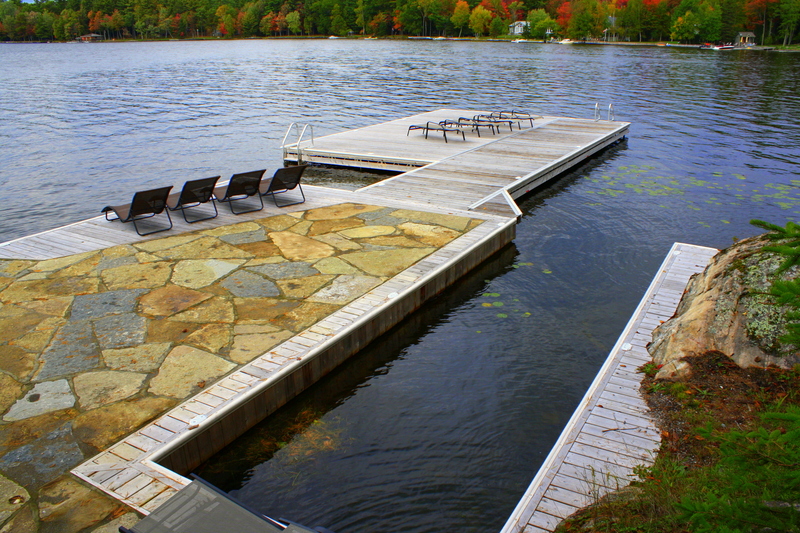 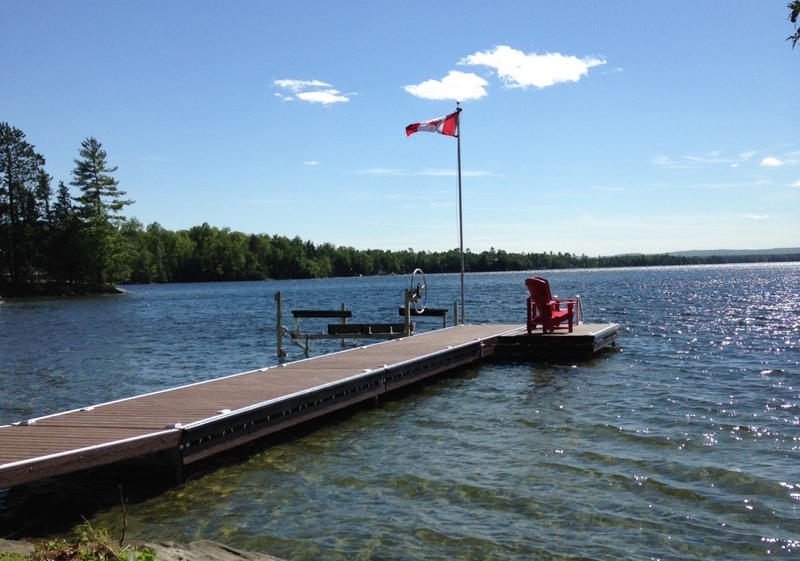 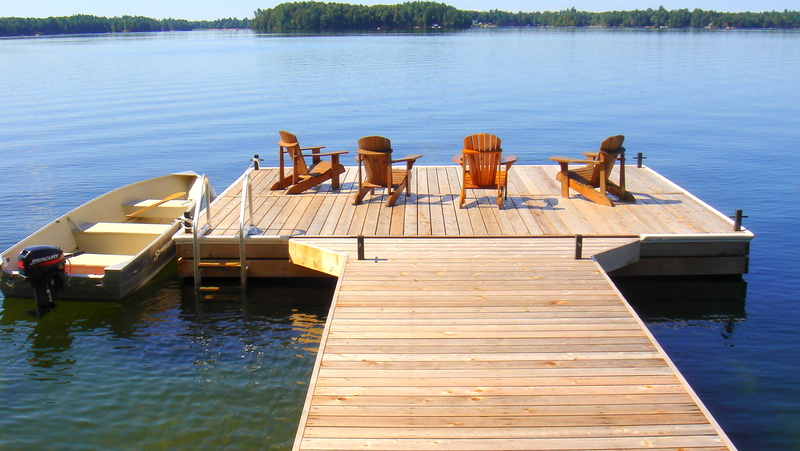 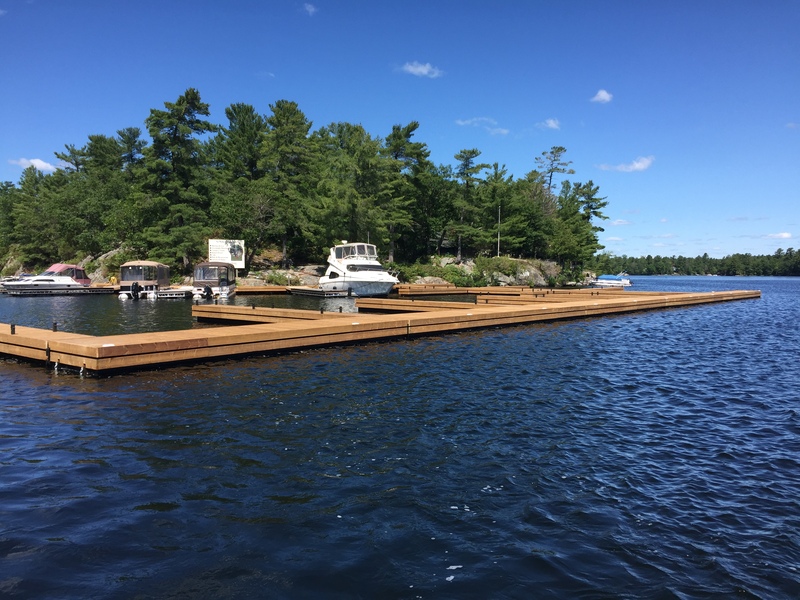 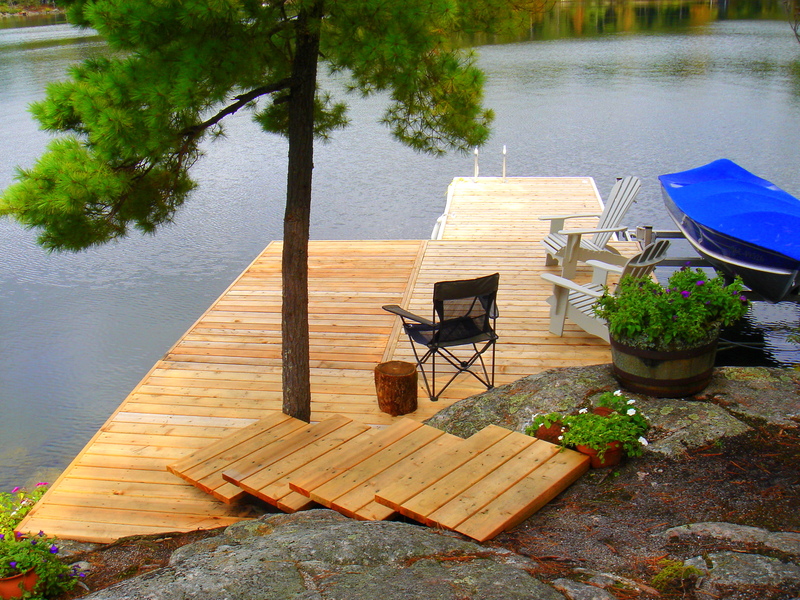 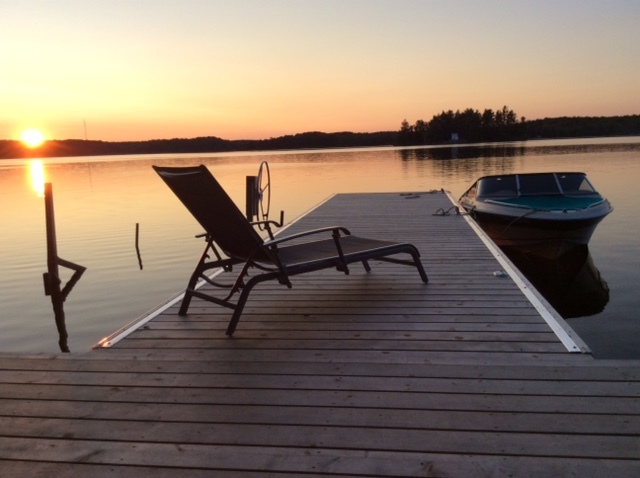 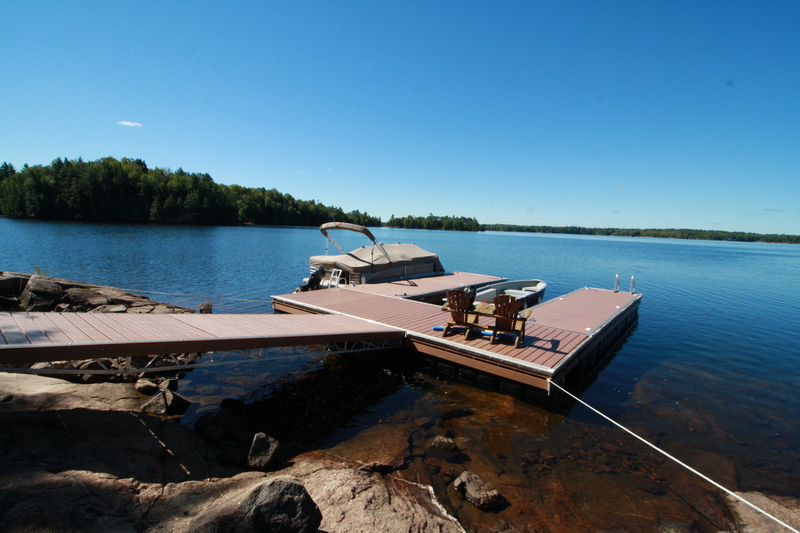 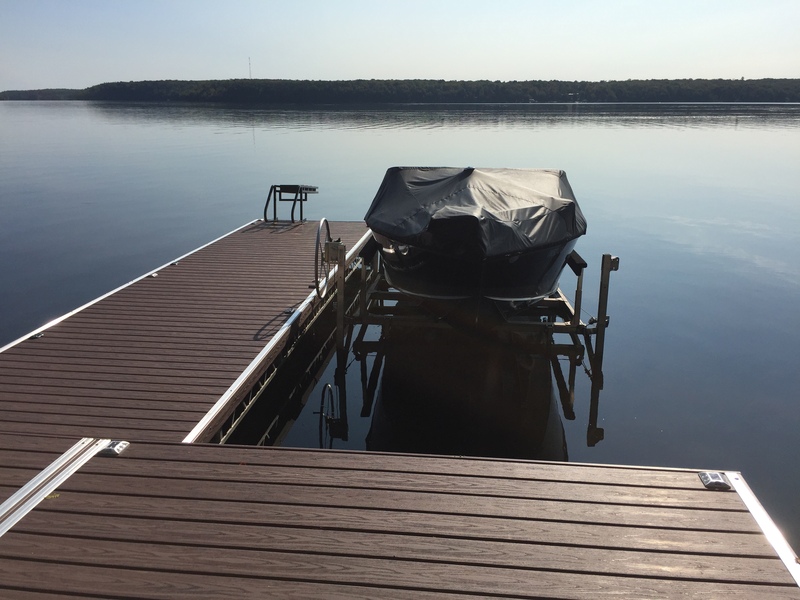 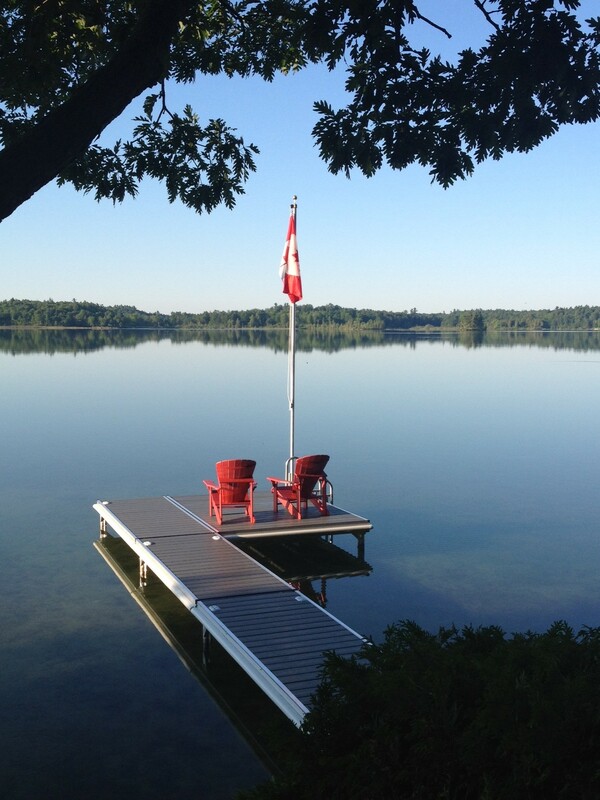 All of our docks are available in frame only configuration or with 2’ removable decking panels. 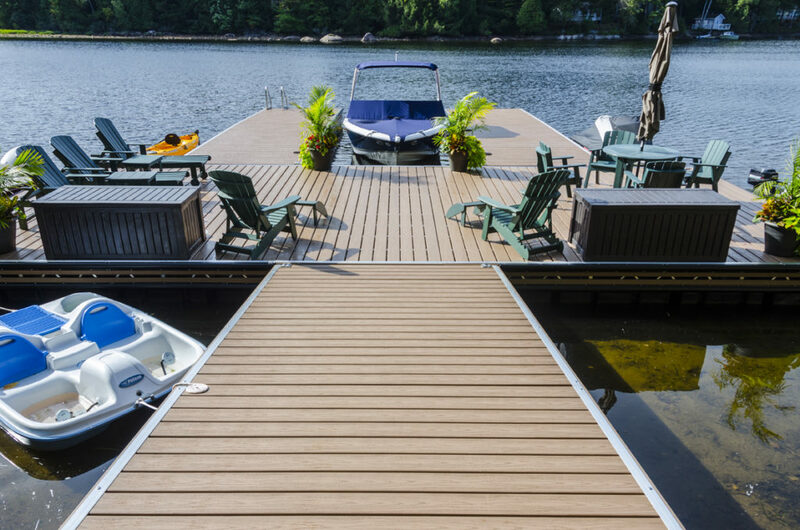 Our decking is available in Western Red Cedar, Sienna Pressure Treated Decking and Pro PVC decking. 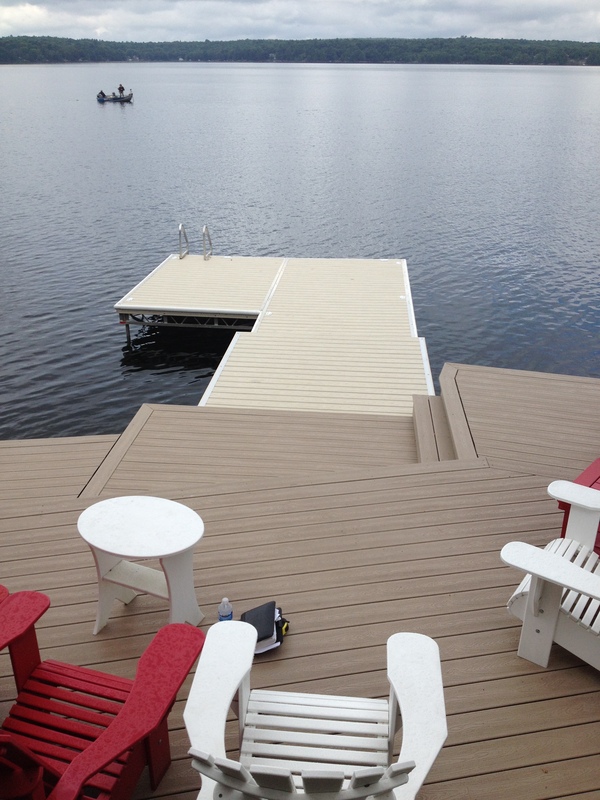 All of our decking panels are locked in place using easy to remove full length hold down trim strips. 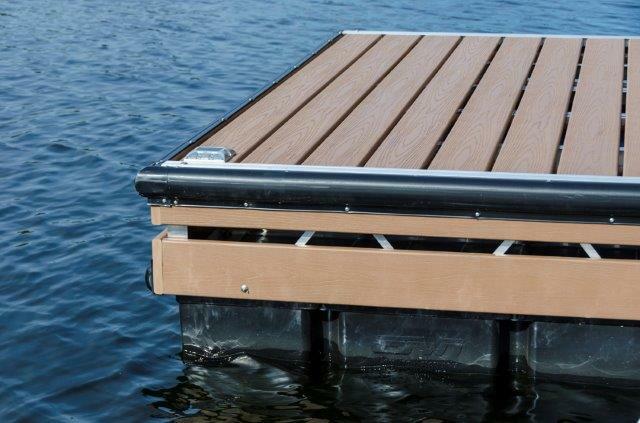 This prevents your decking panels from coming off in rough water conditions, while enabling you to remove your panels in the fall without getting into the water. 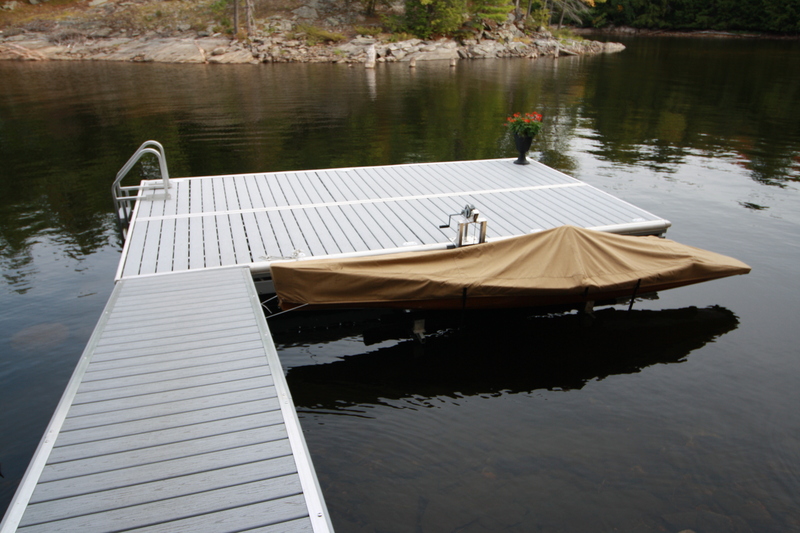 Our docks also come with stainless steel hardware. 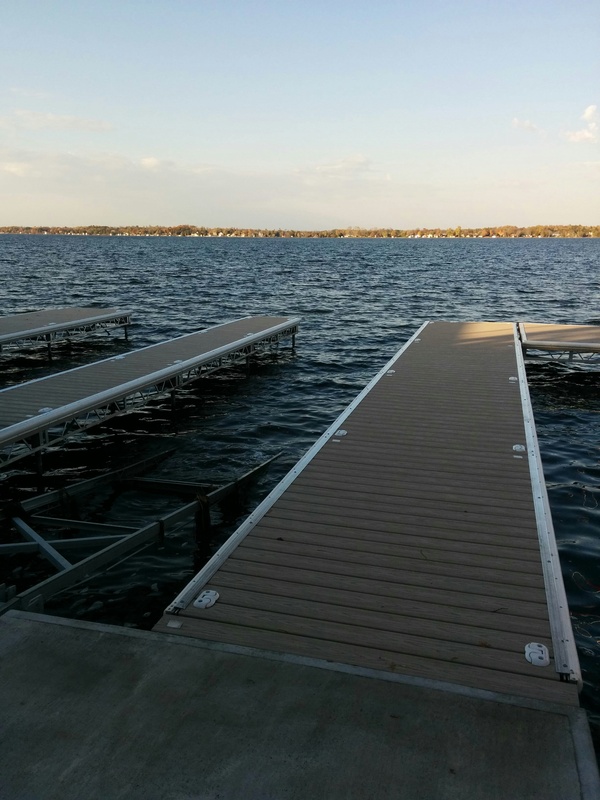 A sales associate would be happy to meet with you on site to discuss the possibility of installing an R&J Machine dock system.